Are you mentally and emotionally prepared for survival? This is a tricky question for most people, preppers included. You can ask any prepper about their provisions or firemaking skills and they’ll give you a definitive response. Ask them about mental preparedness and, well, you get varied answers: from super-sure to indistinct mumbling. Here’s what you have to remember: keeping a level head on your shoulders is your #1 weapon when SHTF. Chaos and distress can easily make anyone jumpy, paranoid, or even depressed, so it’s important to mentally and emotionally equip yourself as much as you can. Here are some tips to help you stay sane when SHTF. Keeping one’s cool is a learned skill that could mean the difference between success and failure. The Navy Seals, who eat stressful situations for breakfast, have a simple but very useful technique to stay calm and focused even when under fire: breathing exercises. Learning how to regulate your breath helps you control your body’s response to stress and anxiety. This is why box breathing is an integral part of Seals training. In box breathing, you inhale, hold your breath, exhale and hold your breath in 4-second intervals. This breathing technique allows adequate amounts of oxygen to enter your bloodstream, helping you to calm down, think more rationally and recall the information and skills you’ve gathered. When you’re in a survival situation, rational thinking can save your neck. Practice box breathing whenever you can so that it comes as second nature when things get a little intense. Ever heard the phrase, “No man is an island”? 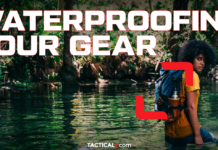 Believe it or not, this phrase rings true, especially in a survival situation. You might want to stay away from your noisy neighbors now, but try being completely cut off from society for several months or years and you’d be yearning for anyone’s company…noisy neighbors included. The fact is that humans are naturally social creatures…isolate them long enough and they’ll go bonkers. Long-term isolation, especially during stressful situations, can lead to paranoia, increased anxiety and even hallucinations. Studies also show that loneliness actually increases stress hormones that make you more vulnerable to disease and sleep deprivation. This is where anthropomorphizing comes in. Remember the movie Castaway? Tom Hanks’ character was stranded on a deserted island for four years. He felt so isolated and lonely that he resorted to talking to “Wilson”, a volleyball, just to survive. The surprising thing is, talking to an inanimate object isn’t exactly a bad thing. Anthropomorphizing, or treating inanimate objects like they’re human actually helps people to cope with loneliness and isolation. Studies show that if humans can’t find someone to talk to, they’ll find something instead to achieve the same effect. Talking, yelling, expressing oneself— even to inanimate objects— keeps the brain from succumbing to hopelessness. It might look crazy but in many cases, it’s actually a pretty good coping mechanism. Survival is extra stressful when you have people depending on you. Not everyone is cut out to be a leader, but people might count on a prepper to lead. After all, preppers are the ones who are actually ready for this kind of thing, right? Like it or not, if you find yourself responsible and accountable for other people’s lives and safety, you need some leadership skills that can hopefully see you through some really tough times. Good leaders know how to stay calm, assess the situation and make sound decisions quickly, even in the face of chaos. They know how to play to their group’s strengths and weaknesses. Most importantly, good leaders get stuff done through example. They’re not bosses; they’re part of the team. He or she makes decisions— often hard ones— for the benefit of the group as a whole. Not everyone is born a leader, but they can sure prepare to be one if the need arises. When push comes to shove, you better be ready to take on responsibility if no one else steps up to the plate. Identifying your thoughts and emotions after surviving a stressful situation isn’t something “sissy”, not by a long shot. SHTF situations force people to compartmentalize— it’s usually a “move now, think about it later” scenario until the situation’s stabilized and you’re well and truly safe. It’s important to realize that once you’re out of the woods, you have to confront those emotions and events. Survival scenarios are very stressful and when dealt with the wrong way, very traumatizing. Unload those mental and emotional burdens through stress debriefing. It helps when you talk to someone, whether it be a therapist or a friend. Identifying your emotions, and more importantly, recognizing them as valid, lessens the chances of getting PTSD and hastens mental recovery. When everything’s a crazy mess, how do you find the motivation to go on? Viktor Frankl might give you some insight on that. This guy is not only a celebrated psychiatrist and neurologist, he’s also a Holocaust survivor. While trying to survive one of the Nazi concentration camps, Frankl developed logotherapy, a concept that revolves around man’s search for purpose. Even in the direst situations, Frankl concluded that humans will still try to find a reason to be alive, either through finishing a task, immersing oneself in experiences or, in a survival situation, choosing how to respond to suffering. Experts have found that logotherapy helps people cope with a lot of stressful situations, anxiety, and even PTSD. Post-traumatic stress disorder is a serious mental condition that affects 25 million people in the US alone. This is probably one of the most serious and pervasive effects of survival situations to people. When an individual experiences traumatic events like natural disasters, assault, or an accident, it’s normal for them to feel mental and emotional stress for a certain amount of time. These feelings usually fade in time for about 80% of cases. The remaining 20% go on to develop PTSD. There’s no easy way to prepare oneself for mental and emotional trauma. Survival can push an individual into a corner and force them to do things out of desperation or need. When these survivors are unable to cope with these events or their actions, they’re likely to develop PTSD. When a person suffers from PTSD, he or she continues to be affected by these traumatic events for years. It manifests in the form of depression, nightmares, paranoia, self-harm and even suicide. This is a common condition among war veterans, but can also affect anyone who had to go through especially difficult times. The upside is that PTSD is treatable. There are many PTSD support groups that offer help and therapy services to those suffering from this condition. It may be easier said than done, but to prevent PTSD from developing, it’s important for a person to acknowledge their feelings and to understand that there’s nothing “weak” about doing so. Having someone to talk to, whether it be a therapist or confidante, also helps. Studies also show that spending time outdoors, exercising regularly and even getting assistance from a service dog helps people cope with PTSD. Staying sane in a survival situation is a feat unto itself. It takes a lot of mental toughness to respond to hostile conditions and make it out in one piece, physically, mentally and emotionally. Mental preparation is tricky because it’s not something you can stock up on a shelf or put in your bugout bag. It’s very abstract. This part of prepping depends solely on you and your attitude. 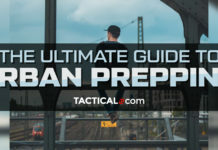 Just remember that while you might not be able to control events and situations, you can control how you’ll react to it, and that’s the first step to staying sane when SHTF.